As they entered their six hundredth year of British occupation, the Irish looked to America. By the 1840s, America was the oasis that the Irish sought during a decade of both famine and revolution, and New York City was the main destination. The city would never be the same. Refugees of the famine found leadership in Archbishop “Dagger” John Hughes, who built an Irish-Catholic infrastructure of churches, schools, hospitals, and orphanages that challenged the Protestant power structure of the city. Revolutionaries found a home in NYC, too: Thomas Francis Meagher would later become Lincoln’s favorite Irish war general; John Devoy and Jeremiah O’Donovan Rossa continued their fight from the city after the failed Rising of 1867; two men killed in the Easter Rising, Tom Clarke and James Connolly, spent substantial time in New York. From there, the Irish rose and helped shape New York politics, labor, social activism, entertainment, and art. W.R. Grace was New York’s first Irish-Catholic mayor, followed by Tammany rogue James J. Walker, and then William O’Dwyer of County Mayo. On the labor side, Michael J. Quill, ex-IRA, of the Transport Workers of America, found his perfect foil in WASP mayor John V. Lindsay. Dorothy May and Margaret Sanger became famed social activists. While the Irish made up much of the NYPD and FDNY, there was also the criminal element of the 1860s. The toughness of the New York underworld caught the eye of Hollywood, and James Cagney would become one of America’s favorite tough-guy movie characters. Irish gangs would be made famous in Martin Scorsese’s Gangs of New York. Today, Eugene O’Neill, William F. Buckley, and Frank McCourt populate our literary canon. 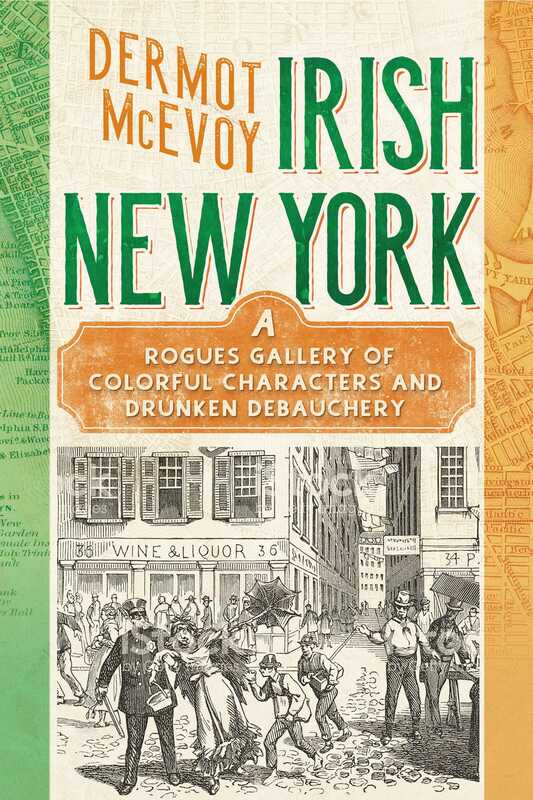 These Irish influenced every phase of American society, and their colorful stories make up Irish New York.